Baby sleep sack in soft cotton voile print. We are engaged in supplying and designing Infants Nightwear for our esteemed clients, as per the latest market trends. Our designers have brought forward the specified collection, executing their in-depth market analysis and for the reason, these Infants Nightwear offer compatibility in their usage. Owing to our years of industrial experience and in-depth knowledge of this domain, we have been able to manufacture and supply the best grade of Overall. Designed as per the latest market trends, these overalls are known for their resistance against shrinkage and fading. In addition to this, the offered overalls are available with us most competitive prices. With deep understanding of market, we have come out with a wide collection of New Born Baby Clothes. Provided baby clothes are designed well utilizing the top quality fabric and contemporary machinery and are accessible in a plethora of sober colors and patterns. 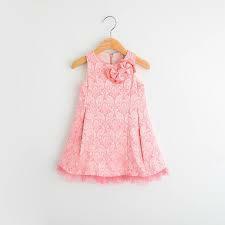 Offered baby clothes are widely demanded by our style loving clients for long lasting and colorfastness. 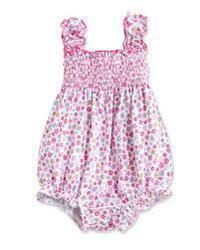 Provided baby clothes can be modified too by our experts. We offer an assortment of baby accessories that are superior in quality and high in utility. These baby accessories are made from selected quality of fabric and material to give your baby a touch of care and love. Our collection includes Baby sleeping bags, Baby caps and Mother care bag. 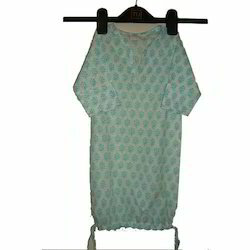 Hand block printed top coordinated with jersey applique bloomer. Top has nice cotton crochet lace. 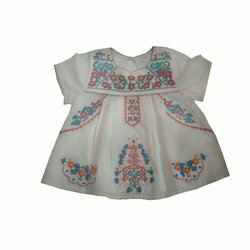 Tribal embroidery kids dress in soft cotton. We offer our clients with an intricate range of Ruffle Dresses these are designed and weaved using premium grades of silk and chiffon and offered in leopard apricot/pink/blue themes. We also make use of advanced production techniques and offer our range in varied colors, designs, and patterns as per the preferences of our esteemed clients. Moreover, these are offered at competitive market prices. Our exclusive collection of Infant Clothing Set is designed in wide array of patterns and color combinations. Fabricated using finer quality, these sets are available in variety of cuts to add comfort to the dressing of the wearer as comfort is our prime criteria in case of infants set. Our range is customized as per the clients’ preference, designed keeping in mind the latest designs and color matching for the little ones. We are providing range of Baby & Infant Dress like Infant Cotton Dress, Infant Pant, Infant T Shirt, Infant Trouser, Infant Rompers, Baby Dress, Baby Clothes, Baby Garment. 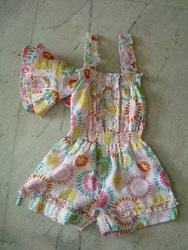 We provide a wide array of Rompers which is designed by using high quality fabric to ensure the maximum comfort to kids. 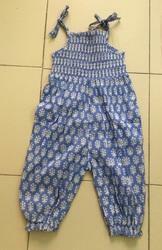 Our range of Children Rompers is fabricated in different colors, sizes, and patterns. Further, these can be customized as per specified requirements made by our valuable clients. Infant strappy top in soft cotton voile.